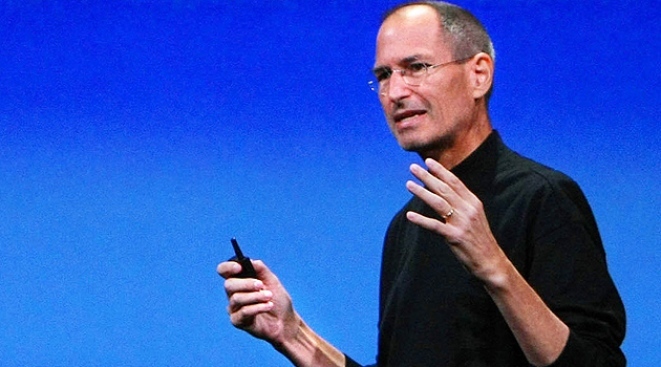 Will this weekend's splash of the Palm Pre flush out Steve Jobs early from his medical leave? That is the speculation swirling around Silicon Valley as Apple's annual developers' conference begins today in San Francisco. The new Pre sold out at most Bay Area Sprint stores by noon Saturday. It is also getting rave reviews in part because of what it can do that the iPhone can't. Many reviewers praised its ability to run more than one program at a time. But will that be enough to bring out the Apple boss? Apple announced this past week that, as expected, Jobs will return to work by the end of the month and almost instantly the speculation began surrounding a possible Jobs' sighting at the conference. A surprise appearance could unveil his renewed health, as well as a new iPhone. And hearing from Jobs would certainly do the trick in the effort to grab attention away from the Pre. Jobs attended last year's event but isn't officially on the calendar this time. The 54-year-old survivor of pancreatic cancer went on leave in January to deal with a severe weight-loss problem. A source told the Wall Street Journal that Jobs was "fundamentally .. starving to death." Analyst Tim Bajarin says he doesn't expect Jobs to appear. Then again, he doesn't expect Apple to announce a new iPhone either. "A lot of the rumor mill is based on wishes," Bajarin said. "People are wishing for Steve Jobs to show up. They're wishing for the next tablet (PC) from Apple. They're wishing for an iPhone." When Apple launched an updated iPhone at its annual gathering last June, its biggest competitor was the iPhone that Apple had introduced the year before. That isn't the case at this year. So how can Apple keep the edge in mojo? Some wished-for features include a faster processor, more data storage, video recording and an auto-focus camera. Now the next version of Apple's touch-screen phone has to outdo a slew of rival gadgets -- including one that debuted this weekend -- that emulate or improve on some of the iPhone's best features. Much is riding on Apple's ability to appear well ahead of its competitors. Apple's shares have jumped 73% since March -- even in the absence of Jobs, who is on medical leave -- largely because of high expectations for the iPhone. Just two years after entering the fray, Apple enjoys a 19.5% share of the smart phone market, according to IDC, and investors are betting on a continued run of success. "Apple, from a practical standpoint, has consistently tried to stay one to two years ahead of the competition on both the hardware and software levels," said Bajarin, president of Creative Strategies and longtime Apple analyst. Apple, in keeping with its usual secrecy, isn't saying what will be unveiled at its Worldwide Developers Conference in San Francisco. Usually the event is the company's stage to demonstrate computer software changes that aren't widely relevant until programmers use them to build neat new applications. Last year, though, Apple used the conference to announce the iPhone 3G, and many Apple-watchers expect the Cupertino, Calif.-based company to produce another version this time, and to reveal more about the new iPhone operating software it previewed in March. Since last year's developers conference, other rival phone makers galvanized by Apple's challenge have responded with formidable touch-screen devices of their own, including Research In Motion's BlackBerry Storm and T-Mobile's G1, which runs Google's Android software. Smart-phone competitors are not the only ones crowding Apple. Over the past year, another category of small wireless computers has blossomed: "netbooks," which are light little laptops designed for checking e-mail and surfing the Web on the go. Some cost as little as $100 with a cellular data plan, which beats the starting $200 price of an iPhone. Apple has said it isn't interested in making a sub-$500 notebook computer with a small screen and keyboard, but that could change. Apple also will give the 5,000 developers expected at the conference a closer look at Snow Leopard, the forthcoming update to its Mac OS X operating system, just as the PC industry is gearing up for the Oct. 22 release of Microsoft's Windows 7. Microsoft tried to give Windows 7 a more attractive user interface, an area where Apple has long been seen as the leader. After years of stinging Apple ads that pit a hipster Mac character against a hopelessly dorky PC guy, the Redmond, Wash.-based software maker also has bitten back at Apple with a series of TV commercials showing people saving money by choosing Windows PCs over expensive Macs. "Apple has had a real holiday here while Microsoft has gotten all tangled up in its underwear," said Roger Kay, president of technology research firm Endpoint Technology, referring to Microsoft's epic problems getting the previous system, Vista, out the door and into homes and businesses. "Windows 7 is going to be a lot more respectable competitor."